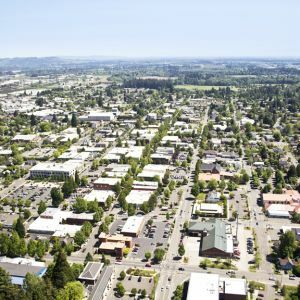 In McMinnville, we are both proud and fortunate to have a strong base of manufacturing and traded sector businesses to grow and maintain a healthy economy. These are businesses creating innovative products, providing desperately needed services, and contributing to the betterment of people. Inside these businesses are employees. 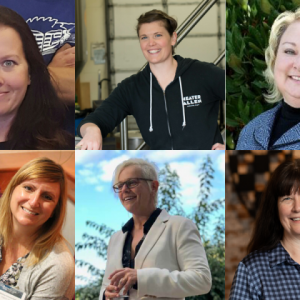 Employees who are constructing world-class products and putting in their hours and hard work and contributing to our community in many untold ways. What may be more untold though, is the accomplishments of these employees and the many paths that lead people to succeed in their careers. 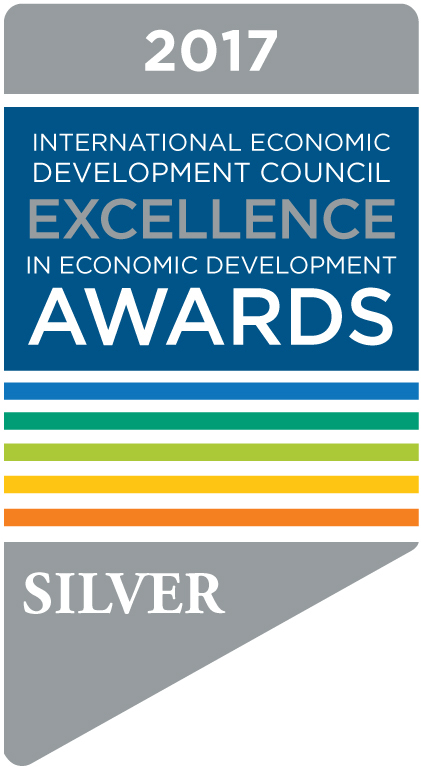 We at the McMinnville Economic Development Partnership (MEDP) know that we are fortunate to have the school district that we do in our community. According to a recent article from the News Register, in 2017-2018 McMinnville High School had a 90.6% graduation rate which is 12 points higher than the state average. We’re proud of the students coming out of Yamhill County schools each year and are excited to see new additions to Career Technical programs and pathways, we’re also happy to see school embracing an important reality, that not every student is going to go on to a four-year college. Here in McMinnville, we can point to countless examples of employees with a high-quality life working in engaging, important roles who have not followed what is now considered the “traditional career path” of attending a four-year college upon completion of high school. Opportunities exist for people wanting a different path to success. What truly makes people successful is a drive to do better, a love for what they do, and the willingness to work hard no matter what. We had the opportunity to sit down with three employees who exemplify these traits working at companies in McMinnville. Each took a slightly different path to where they are now, and all of them see goals and success down the road. Graduating from Yamhill-Carlton High School in 2002, Ryan Sticka knew he needed a job that allowed him to work outside. That summer he started work as a seasonal laborer for the City of Carlton working at their treatment plant. Ryan loved the feeling of working in a remote location, surrounded by trees and a few good people. After that summer Ryan was recruited to play basketball in Eugene and after a term, he realized this was not the path he wanted. Returning to his family farm, Ryan continued working while keeping his eye open for positions in the utility field. 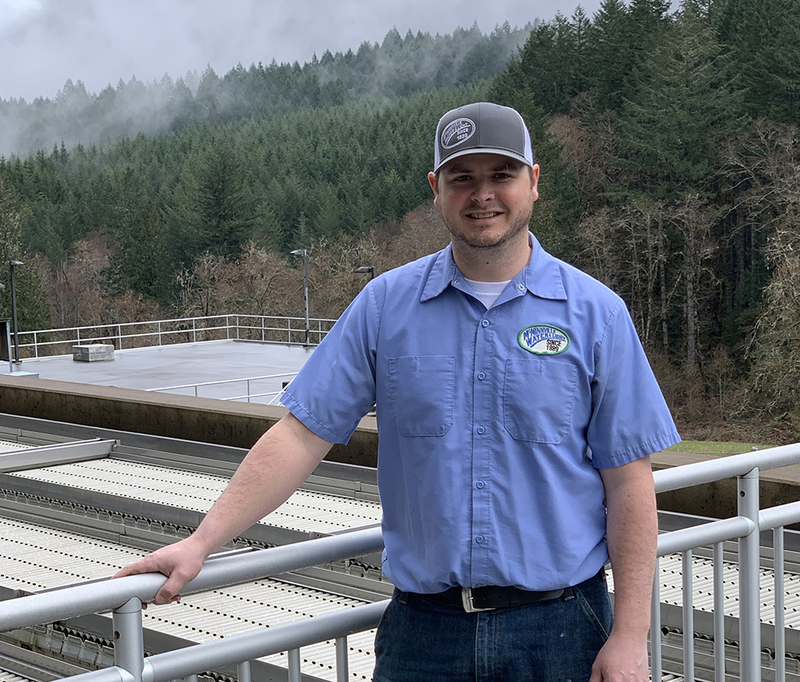 This led him to a two-year degree in water technology and in 2009, he started working part-time for McMinnville Water & Light while completing his degree. Upon graduation, he was hired on full-time as a Water Treatment Operator. Ryan has worked hard to be in the place he is today, and he notes that this is what any young person joining the workforce really needs, “A lot of how I got my job was who I knew instead of what I knew. But it’s not only that. It’s having good work ethic and not letting people down. 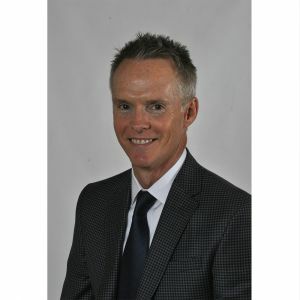 Follow-through goes a long way.” He recommends anyone joining the workforce aims to lead by example and stay busy. He contends that often things don’t happen right away, but if you want something, stick with it. People notice someone who works hard and cares - and Ryan, sitting in front of me, seems to be the perfect example of that sentiment. Jared Roberts tells me he was lucky that his favorite teacher at Newberg High School happened to be in his welding class, but it seems he was destined to take to welding and fabrication all along. In high school, Jared says he had a hard time sitting down all day. Any free period or extra curricular he could take he would fill with shop class saying that the movement and working with his hands helped him concentrate on everything else. Upon graduating from high school, he knew four-years of sitting in a classroom wasn’t where his passion lied. Jared chose to attend the Welding Technology program at Portland Community College (PCC) and earned his Associate of Applied Science in Welding Technology. 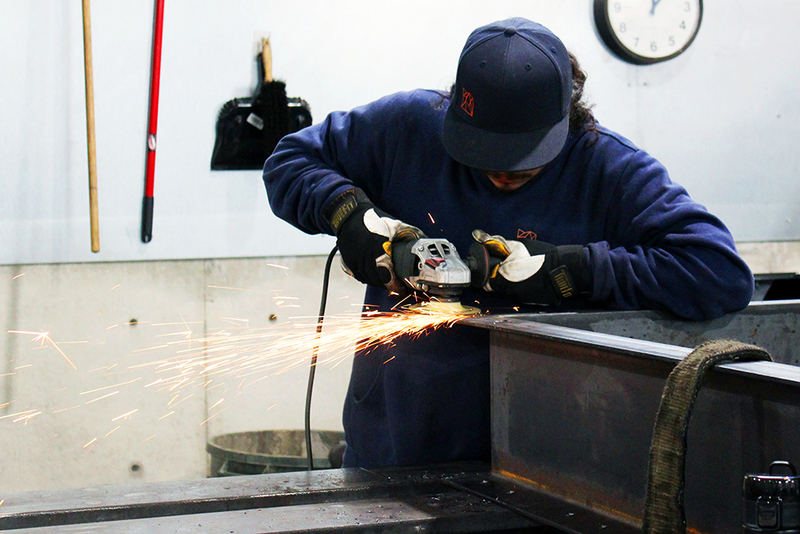 What Jared really loves about welding is the artistic and creative component that can be added to a fabrication project. After graduating from PCC he began working in the McMinnville Industrial District, every day driving by Solid Form’s building and peaking his interest. He eventually reached out and spoke to a friend who had worked for the company and learned of Solid Form’s dedication to custom design work, creative problem solving, and creating something special for each client. Jared, who spent his free time in high school building custom stage designs and welding artistic gazebos, seemed to be a perfect fit. Richard’s hard work led to him becoming a Groundsman, the first step to becoming an Electric Lineman. Commonly, a groundsman needs to complete 1,000 hours of work before moving on in their journey to become a lineman. Currently, Richard is in an apprenticeship program to become a lineman. He’s in his first year of the program, one that requires he takes classes on the weekend, attend a camp on climbing poles, and works with a journeyman for three years. For Richard, the thing he most enjoys is, “working with the crews.” He also likes the variety of the work and being able to see the fruit of his labor - something that he can point to and recognize the hard work that went into it. We at MEDP agree with Deven’s message. We have created our Career Bound Pathways program to help fill this gap. The program works to connect high school graduates who are not currently planning to attend a four-year college with local companies who have full-time, paid, summer positions that could lead to future opportunities. Our pilot year includes eight local companies with nine available positions for local graduates. It’s time to change what we think of as the “best career path.” We see different examples of successful career paths everyday working with local manufacturers at every level in a variety of companies. The truth is that the best career for an individual is one that allows them to be happy, engaged, and fulfilled. 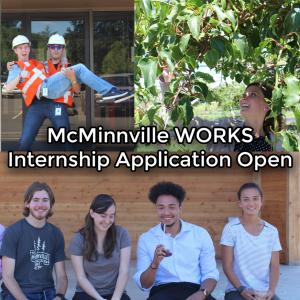 Our local companies are committed to the growth and well-being of employees and we believe the the successful path for McMinnville’s future will be to acknowledge and embrace these achievements with open arms.